Tips for getting you past the company culture fit hurdle and ensuring you are seen as the best, and only, fit for the job. The tech talent pool may be small, but for any job you will be up against equally qualified, high-end professionals with similar skill sets and certifications. It’s not enough to let your work speak for itself, no matter how impressive it may be. Instead, you need an edge up on the competition to get the job. As a Senior Vice President at a leading tech staffing agency, I’m well versed in the interview techniques and strategies applicants use to win over their potential employer and land the job offer. Based on those insights, here are the four top tips to help you land the job – getting you past the culture fit hurdle and ensuring you are seen as the best, and only, fit for the job. Before you step foot in the job interview, find out the latest updates on the company's recent software release or tech implementation. If the solution falls under your area of expertise, determine what recommendations you can on give on how to improve it, better integrate it, or troubleshoot it. Ask questions during the interview regarding their latest software release and present your recommendations respectfully based on their answers to display your genuine interest in the business, your ability to analyze core business needs, and understand tech-driven solutions. This is especially important if they are utilizing a recent tech innovation or development because it establishes that you stay abreast of these changes and are able to adapt and evolve with technology. It also showcases your focus on providing the business with the most recent Tech solutions and innovations to boost overall efficiency. 2. Speak to your experience and break down your process. One of the main pieces of feedback recruiters at our business receive from employers when a candidate is passed on is that the candidate didn't speak to their experience in the interview, aside from what was already represented on their resume. Even though you will be interviewing with a fellow tech-minded individual, they still want to understand the details and intricacies of your process rather than being told which technologies or coding languages you’re skilled in. Instead of stating that you can automate using Puppet, slow down. Explain how you automate in Puppet and speak to the specific skills needed to do so. 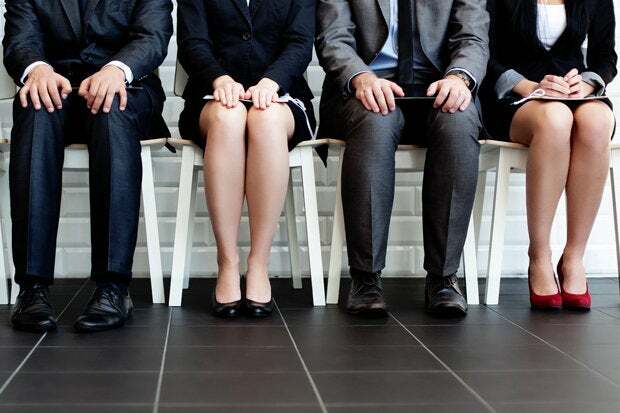 Unlike other job interviews, tech job interviews are not about selling yourself. Rather, it's about speaking to your experience effectively and breaking down your processes in an understandable way. 3. Describe a tech-based issue and your strategy to overcome it. In the interview, highlight a specific a time in your professional experience when you were faced with a tech-based issue or problem and explain how you overcame it. This will help the interviewer identify you as an experienced problem-solver and an asset for their tech department. Problem-solving is a key function of tech-based jobs. Regardless of whether or not the interviewer asks, be sure to prepare and share your problem-solving abilities in your interview, even if that means tieing it into an answer to another question. While it may be more cliche, this continues to be one of the most crucial Tech interview tips for a reason: it works. One of the best things about interviewing for a tech role is that your interviewer is a tech professional as well, meaning you may share mutual interests. Whether you love talking about the latest tech news, what HBO's Silicon Valley gets right or wrong about the tech industry, or the most recent coding language development, this is your chance to speak to a fellow tech expert and establish a rapport. While your interests shouldn't be the main focus during the interview, making a mention of them and finding some mutually-shared interests will help the interviewer remember you and could help solidify you as the culture fit the team has been looking for. The culture fit is a hurdle that many experts working in tech have difficulty overcoming. Interviewing for a tech role differs from the general interview tips for professionals in other industries. While common interview tips like selling yourself or dressing professional work well in other industries, stick to the tips on this list to dominate your next tech job interview. You’ll be happy you did.